The Department is responsible for all aspects of the NCAC’s mandate that relate to the Visual Arts. These include: Exhibitions, Galleries, Education, Craft Development Centres at the Zonal level, Exhibition of Nigerian Arts and Crafts, Showcasing Nigerian Arts and Crafts at National and International levels, Managing and maintaining National collections on Nigerian Arts and Crafts. Arts and Design and Crafts Division and three Sections: Fine Art, Gallery and Exhibition and Commercial. 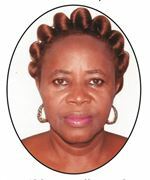 The department is headed by Chinwe Juliana Abara.